Maverick Helicopters and Cirque du Soleil combine to bring you amazing savings on two of Las Vegas’s most popular evening activities. 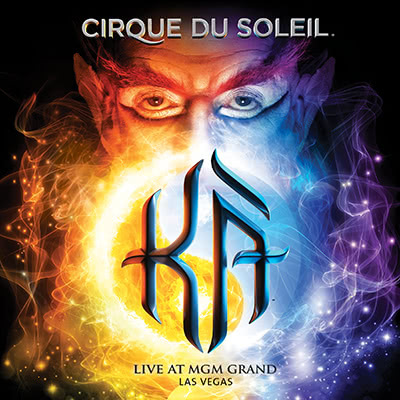 Package includes a Vegas Nights flight and ticket to KÀ by Cirque du Soleil. KÀ, the unprecedented, gravity-defying production by Cirque du Soleil takes adventure to an all-new level. Be awed by a dynamic theatrical landscape, as an entire empire appears on the KÀ colossal stage and a captivating display of aerial acrobatics envelops the audience. $199 - Save over $80! Offer cannot be combined with any discounts. Management reserves all rights. All sales are final. Once confirmed, no changes can be made to reservation dates and times. Seating for the show is Category C, but may be subject to change without notice due to availability. Guests under the age of 18 must be accompanied by an adult. Children under the age of 5 are NOT permitted to attend this performance. Tickets can only be picked up by the person who made the booking. Transportation is not provided to KÀ. The Beatles, Maverick Helicopters and Cirque du Soleil combine to bring you two of the best evening attractions in Las Vegas together in one package. Package includes a Vegas Nights flight and a ticket to LOVE™. 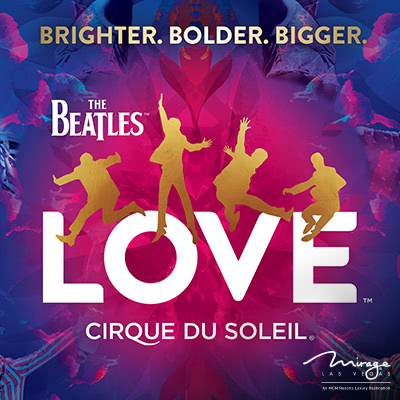 The Beatles LOVE by Cirque du Soleil recently unveiled exciting new acts and choreography, as well as enhanced state-of-the-art projections. LOVE’s custom-built theatre features 360-degree seating and gives guests a unique view of the show each time they experience it. See it again or see it for the first time! Offer cannot be combined with any discounts. Management reserves all rights. All sales are final. Once confirmed, no changes can be made to reservation dates and times. Seating for the show is Category C, but may be subject to change without notice due to availability. Guests under the age of 18 must be accompanied by an adult. Children under the age of 5 are NOT permitted to attend this performance. Tickets can only be picked up by the person who made the booking. Transportation is not provided to LOVE. Looking for the ultimate date night? Visit four of the top restaurants on the Strip on an award winning food tour with Lip Smacking Foodie Tours. 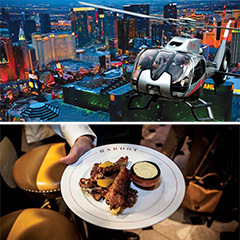 Then, soar high above the Las Vegas Strip and witness stunning views aboard a flight with Maverick Helicopters! Experience two bucket list Las Vegas experiences in one amazing night for $299! Offer cannot be combined with any other coupon, discount or offer. Not valid for groups of 21 or more. Management reserves all rights. All package sales are final. Once confirmed, no changes can be made to reservation dates and times. Maverick Helicopters and Silent Savasana bring you an exclusive yoga experience. 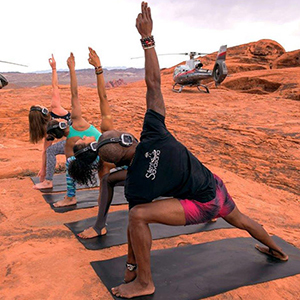 Up to six passengers take part in a 2.5-hour experience that includes a 45-minute round-trip private helicopter flight to the top of the Valley of Fire and a 75-minute private yoga session adaptable for all skill levels. Conclude your experience with a breathtaking flight over the Las Vegas Strip. Maverick Helicopters is now offering a special, limited-time discount for locals at our Las Vegas, Grand Canyon and Maui locations! As locals, we sometimes need to take a break and see the beauty in our own backyard. Maverick would like to extend an opportunity for you to experience the wonder of our own city, the Southwest or Maui from high above. By clicking the links below, the booking code "LOCAL"
will be automatically entered on the reservation form. Discount applies only at Maverick locations in your state of legal residence. 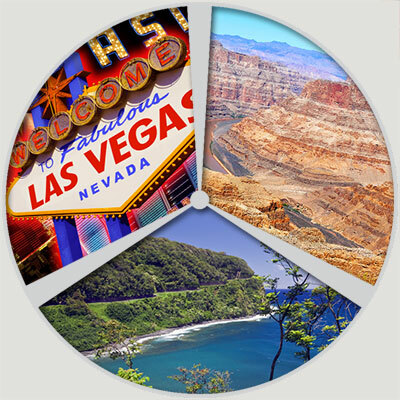 Must present valid Nevada, Arizona or Hawaii ID at check-in to receive discount. Offer cannot be combined with any other coupon, discount or offer. Excludes Free Spirit, Grand Canyon Adventure and Grand Canyon Discovery tours. Offer has no cash value. Discount does not apply to taxes and/or fees. Subject to seat availability. 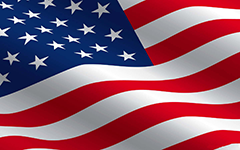 We support our troops and gladly give all military personnel a 10% discount! You will need to present your military ID card at check-in to receive the discount. By clicking the link below, the booking code "MILITARY"
Must be booked online. Discount cannot be combined with any other coupon, discount or offer. Excludes Free Spirit, Grand Canyon Adventure and Grand Canyon Discovery tours. Not valid for groups of 21 or more. Management reserves all rights. Fuel surcharge may apply. Not valid on previous booking.